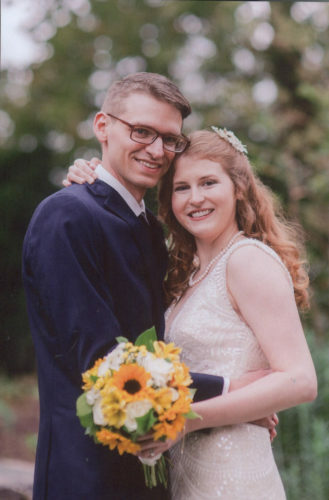 Emily Caroline Fouss and Eric Peter Horton exchanged wedding vows on Saturday, May 21. 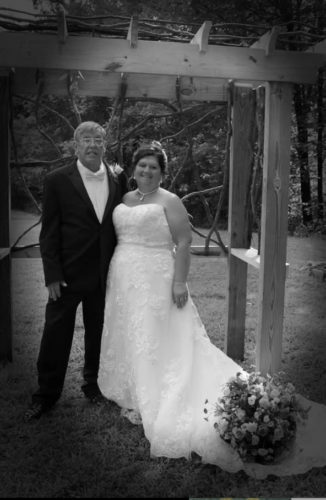 The bride is the daughter of Jeff and Melanie Fouss of Lowell and granddaughter of the late Ralph Schott and Elaine Schott of Waterford and Joe and Opal Fouss of Whipple. The groom is the son of Maurice and Melissa Horton of Lancaster, Ohio and the grandson of the late Mathias and Virginia Weber and the late Maurice ‘Pete’ Horton and Elizabeth Horton of Henderson, N.Y.
Before the 2 p.m. double-ring ceremony at the Basilica of St. Mary of the Assumption in Marietta, Hannah and Meg Schott, cousins of the bride, registered guests and Lauren Hovland, cousin of the groom, provided guests with programs. Monsignor J. Michael Campbell was the celebrant while John Ontko served as organist, providing music before and during the ceremony. Sarah Rauch served as cantor. Sandy Hovland, aunt of the groom, and Taylor Bailey, cousin of the bride, read scripture readings and Adam Schwendeman, brother-in-law of the bride, read prayer petitions. Following the ceremony, cousins of the bride, Brody Griffin and Jaxon Schott passed out bubbles to guests. Given in marriage by her father, the bride wore an ivory patterned lace sheath gown with an illusion laced back, illusion sweatheart neckline and cap sleeves. Accenting the gown was an ivory scallop-edged veil with a beaded and crystal motif. She carried a nosegay bouquet of ivory peonies and light pink garden roses. The stems of the bouquet were entwined with a crystal beaded rosary belonging to her late great-grandmother, Marie Lang. Serving as matron honor was Abbey Schwendeman, sister of the bride, who wore a navy slim-fitted lace dress with sequin accents. She carried a large bouquet of fresh baby’s breath. Bridesmaids included Maria Horton, sister of the groom, and Maggie and Sidney Lawlor, friends of the bride. They wore identical navy laced dresses with illusion necklines and cap sleeves. Each carried a bouquet identical to the matron of honor. Serving as best man was friend of the groom, Dylan Bobbit. He and groomsmen Jared Bonecutter, Chetan Kapoor and Tim Pavlak, all friends of the groom, wore vintage tan suits with navy ties and suspenders identical to the groom, as did the ring bearer, Ford Schwendeman, nephew of the bride. 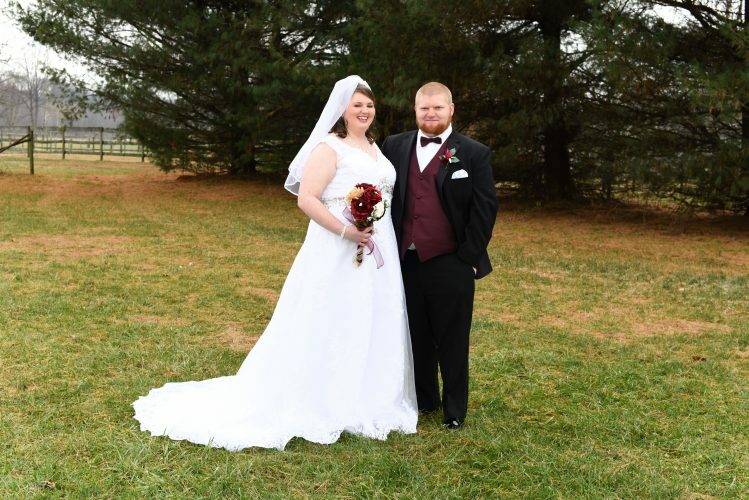 The bride is a graduate of Hocking College’s School of Nursing and is a registered nurse in labor and delivery at the Medical Center of Aurora near Denver, Colo. 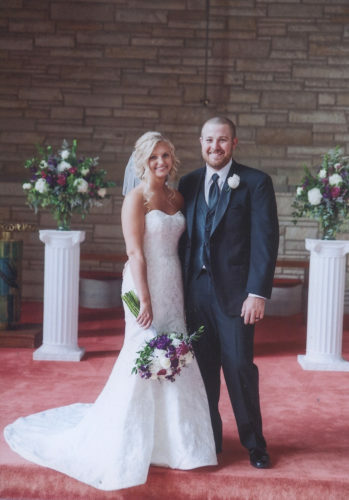 The groom holds a doctor of physical therapy degree from Ohio University and is a physical therapist for Genesis Health Care in Denver. 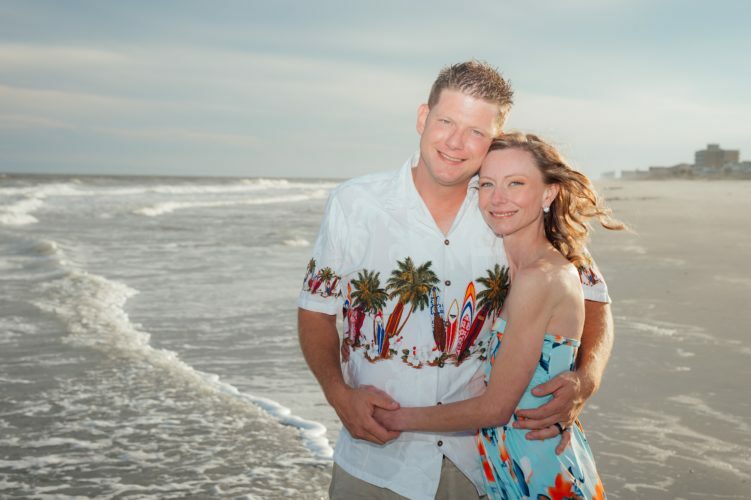 Following a honeymoon trip to Riviera Maya, Mexico, the couple resides in Englewood, Colo.